From the fairy godmother’s pumpkin coach to Herr Drosselmeyer’s nutcracker, godparents have long been associated with good gifts. But in The Character of Virtue theologian and ethicist Stanley Hauerwas offers his real-life godson something far more precious than toys or trinkets—the gift of hard-won wisdom on life and the process of maturing. In each of sixteen letters—sent on the occasion of Laurence Wells’s baptism and every year thereafter—Hauerwas contemplates a specific virtue and its meaning for a child growing year by year into the Christian faith. Writing on kindness, courage, humility, joy, and more, Hauerwas distills centuries of religious thinking and decades of self-reflection into heartfelt personal epistles that are both timely and timeless. 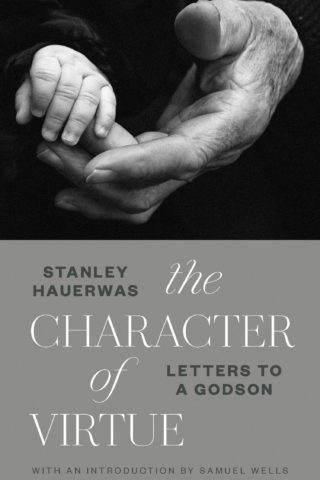 An introduction by Samuel Wells—Laurence’s father and Hauerwas’s friend—tells the story behind these letters and offers sage insight into what a godparent is and can be.